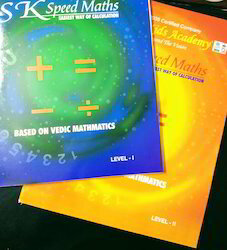 Manufacturer & Exporter of Vedic Maths Study Material. Our product range also comprises of Abacus Books, Abacus Study Material and Abacus Bags. Our company is engaged in manufacturing, exporting and supplying an excellent range of Vedic Maths Study Material. These study material are very useful to VI-XII Grade Students to sharpen their Speed Maths Skill. You will complete this study material in six months. Offered study material are made up of finest quality raw material & printed with attractive images that help students to understand more effective way.